Are you ready to take your engagement photos outside? Yet, sometimes, even the best laid plans fall victim to weather. 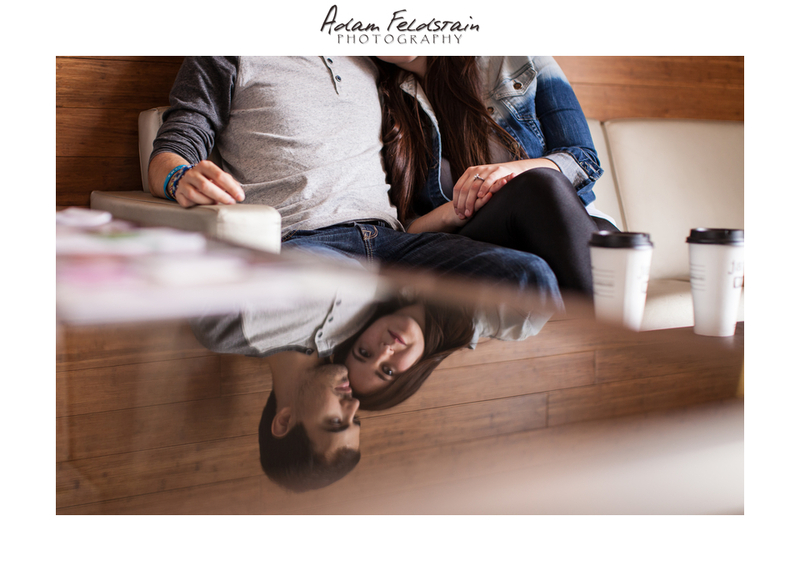 So, why not give yourself some extra insurance from the weather and plan an indoor engagement shoot? Just think of the jaw-dropping photos you’ll have when you select an equally jaw-dropping location. Read on to discover five of our favorite indoor engagement locales. Easygoing couples love coffee shops and neighborhood cafes. These locations provide a relaxing, stress-free environment for your pictures. The more relaxed you are, the better your photos. Not to mention that a rich cup of coffee, delectable pastries and an intimate atmosphere can’t be a bad thing. You want a love that lasts, so why not choose a location with artifacts that have withstood the test of time. Yet, although we love the idea of engagement photos with some of the world’s most important artifacts as your backdrop, you can’t just run in there all wily nily. Contact the museum’s director and inquire if you are allowed to have flash photography at the museum. Some museums don’t permit flash photography (or photography at all) because it can cause damage to their exhibits. However, once you have the green light, you’re in for a treat. Ok, we know botanical gardens are primarily and outdoor location, but some of them include greenhouses that make for stunning locations all on their own. Just think, you can be surrounded by blooming flowers in the middle of December. If you are interested in having your engagement shoot at a botanical garden you have to do a little research. Locate the gardens within your area and inquire if they have a greenhouse or a suitable alternate for an indoor shoot. Their answers may surprise you and before you know it, everything will be coming up roses. Is there anything more enchanting than an old, regal library. The dark paneling, the smell of old books, surrounded by some of the world’s best literature is too magnificent for one person to handle. That’s why you’ll have your fiancé to help you take in all of the classics. Just because you may not be within walking distance of the New York Public Library, doesn’t mean that you have to put your library dreams on hold. Most universities have drool-worthy libraries, so your dream location can be within reach after all. You don’t have to fall victim to Mother Nature. Get the engagement photos you always dreamed of by selecting a spectacular location. Your guests’ jaws will drop when they see your pictures! Pic one of these Indoor Engagement Shoot Ideas or get creative and find somewhere else just as unique. SimplyBridal.com in an online retailer of quality wedding dresses, bridesmaid gowns, and wedding accessories. SimplyBridal now delivers to North America, much of Europe, and parts of Asia. There are over 400 wedding dress styles and bridesmaid dresses come in 28 colors. 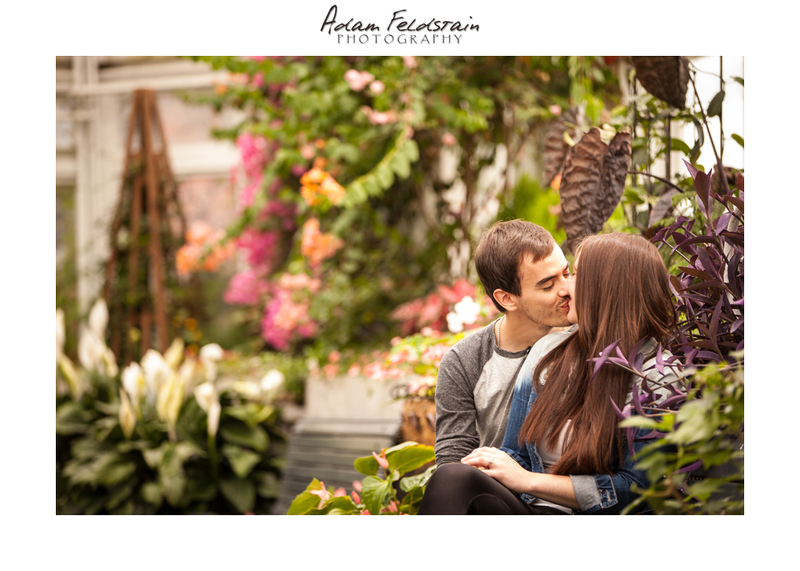 This entry was posted in Engagement Shoots and tagged Adam Feldstain, Botanical Gardens, coffee, coffee shop, engagement, indoor engagement shoot, indoors, Library, love, montreal weddings, museum, ottawa weddings, toronto weddings, Vintage Cinema, wedding.